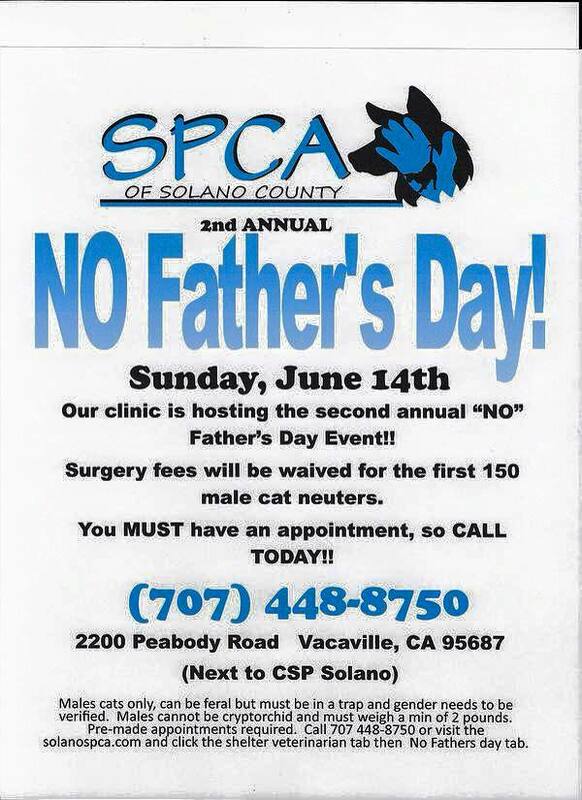 Posted in: Animals, Pets, Rescue, spay/neuter. Tagged: cats, clinic, community service, low cost, Neutering, Solano County California, SPCA of Solano County, Vacaville CA. It is time for No Father’s Day again. This event is only for the boys and an appointment is necessary. You can make your appointment by clicking here!